Back in January we released our first Management Console mobile app for Android users. 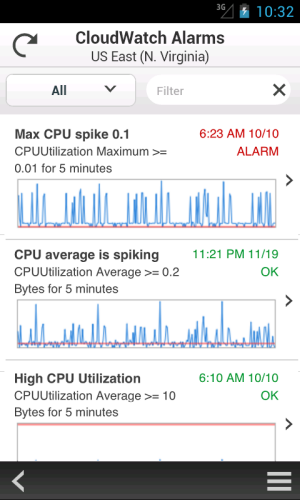 Were now pleased to announce the availability of the AWS Console for iPhone! 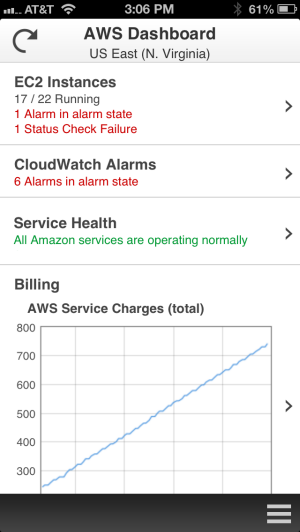 The app summarizes the status of your EC2 instances, CloudWatch alarms, total service charges, and AWS Service Health. You can view all of your EC2 instances, filter and search for a specific instance, view instance details, and stop or reboot an instance. 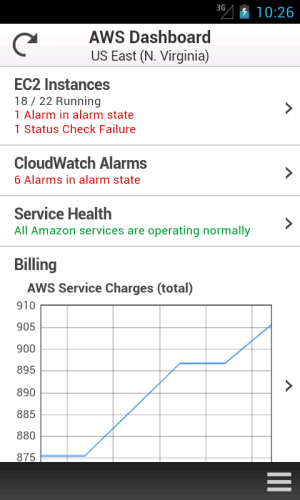 You can also filter and search for CloudWatch alarms and view CloudWatch metrics to monitor the health of your resources. As with the web-based management console, sign-in is as simple as entering your AWS or IAM credentials. We plan to add support for additional services very quickly, so stay tuned (and use the app’s feedback function to tell us what you think). You can download the console now and get started right away! We launched Amazon SQS (2004) and Amazon S3 (2006) as pure APIs, with no tool support whatsoever. 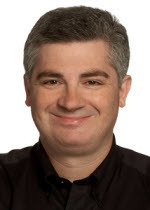 Developers were quick to build all sorts of interesting tools around the web service APIs. Later in 2006, we introduced Amazon EC2, this time with a set of command-line tools. Sometime in 2007 we entered the visual, browser-based era with the release of ElasticFox. In early 2009 we released the AWS Management Console and have focused our development efforts there ever since that launch. Over the years we’ve made many incremental improvements to the AWS Management Console. We’ve also improved the overall look and feel a couple of times. The goal remains unchanged – to provide you with a clean and efficient way to see and manage your AWS resources. Today we are ready to take another step forward. We’re making some big improvements to the existing Console, and we’re also introducing a brand-new Console App for Android devices. In this post I’ll give you a visual tour of both applications..
We heard your feedback that the growing number of services in the Management Console (21 and counting), increased service functionality, and new form factors such as tablets, required an update to our designs. Our focus is to make AWS easier to use by increasing customizability and improving information display on your screen of choice. We learned that many Console users spent a lot of time alternately selecting one of a pair of AWS resources in order to compare and contrast certain settings. This wasn’t a good use of your time, so we added inline resource summaries to give you quick access to key resource attributes. We then reviewed the Console’s information management and display features to improve readability and to put your information front and center. We learned that monitoring resource statistics is one of the most frequent actions and users wanted more space to view graphs. The new Monitoring View makes it easier for you to see statistics for your resources. You can easily filter your resources and hit the new Select All button to see stacked graphs for your resources. You can even change this view to see all the graphs or individual large graphs on one screen. We also learned that many users wanted as much space as possible for table information. To accommodate this, we added a collapse option to the side navigation pane and moved the table details to let the table fill the screen. Finally, we know that many of you use (or would like to use) the Console from your tablet device, so we now support endless scrolling within the current page. Your resources are just a swipe away! We also optimized the use of horizontal and vertical space and made the buttons and selectors large enough to ensure easy access. These improvements will be rolled out across the AWS services on slightly different schedules. We look forward to your feedback on these new designs! 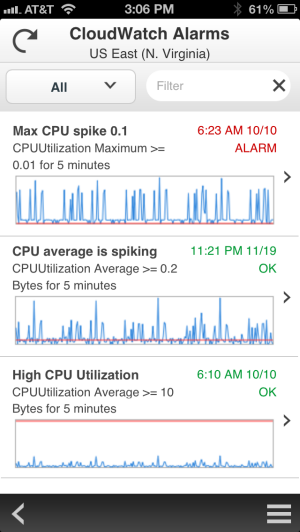 This new app provides mobile-relevant tasks that are a good companion to the full web experience including the ability to quickly and easily view and manage your existing EC2 instances and CloudWatch alarms from your Android phone. You can view your total AWS service charges and switch between AWS accounts and regions from within the app. As with the web-based management console, sign-in is as simple as entering your AWS or IAM credentials. 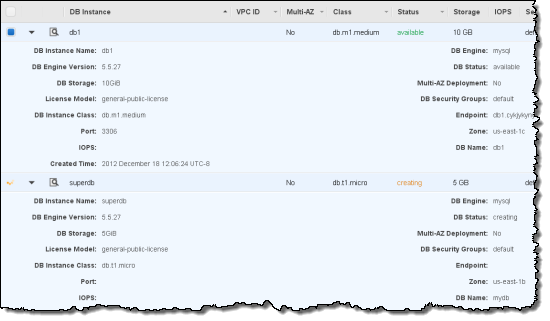 View a summary of your EC2 instances, CloudWatch alarms, total service charges, and the AWS Service Health status, with optional filtering on the instances and alarms. 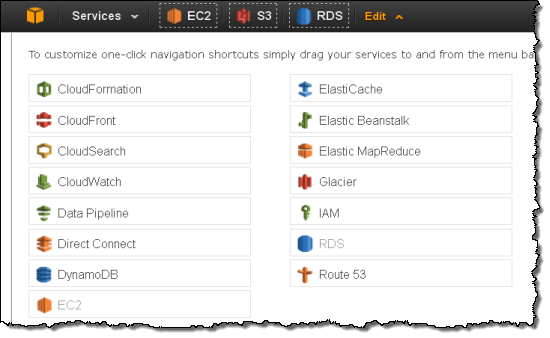 Look at EC2 instance metrics and status checks to check the state of your environment. 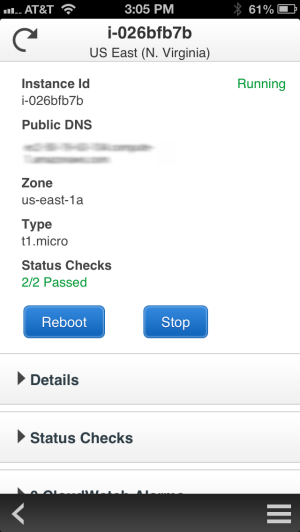 Stop or reboot your EC2 instances. List CloudWatch alarms by state or time. 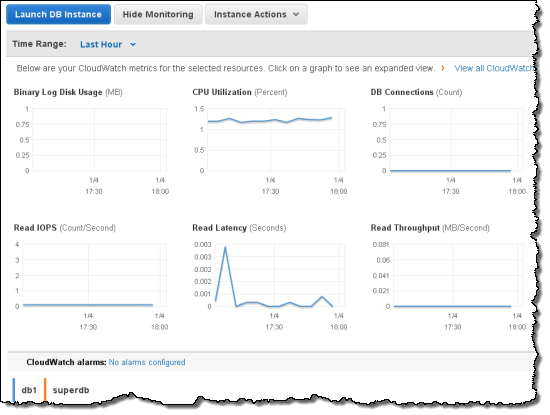 Examine the automated actions configured for each CloudWatch alarm. 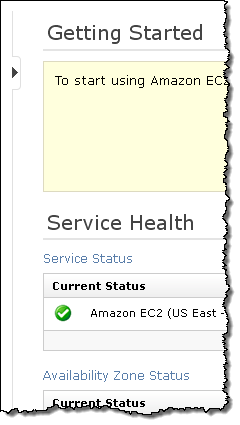 View detailed AWS service health status, including recent AWS service events and notifications. We plan to add support for additional services very quickly, so stay tuned (and use the app’s feedback function to tell us what you think). We are also planning to support mobile devices running other operating systems. Download the AWS Management Console for Android and get started today. In August, we announced that AWS Identity and Access Management (IAM) added support for Identity Federation. 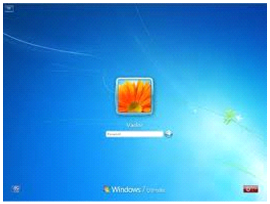 This enabled customers to use their existing identities (e.g. users) to securely access AWS APIs and resources using IAM’s fine-grained access controls, without the need to create an IAM user for each identity. Today we are announcing that we have extended IAMs Identity Federation functionality to also enable federated users to access the AWS Management Console. This allows you to enable your employees to sign in once to your corporate directory, and then use the AWS Management Console without having to sign in to AWS, providing single sign-on access to AWS. In my previous post on the topic of Identity Federation, I discussed how you could setup an identity broker, which calls our Security Token Service (STS), requesting temporary security credentials to provide your users access to AWS. You explicitly specify the permissions that these temporary credentials give your users, as well as control the amount of time (1 to 36 hours) these credentials are valid for. Well, these same temporary security credentials can now also be used to access the AWS Management Console. User signs in to the enterprise network with their enterprise credentials. 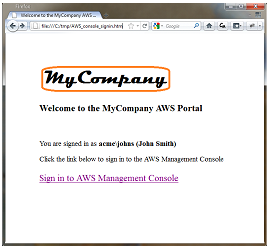 User browses to an internal site and clicks on Sign in to AWS Management Console. Page calls identity broker. Identity broker validates access rights and provides temporary security credentials which includes the user’s permissions to access AWS. The page includes these temporary security credentials as part of the sign-in request to AWS. User is logged in to the AWS Management Console with the appropriate IAM policy. # A sample policy for accessing SNS in the console. # page, for example https://mysignin.internal.mycompany.com/. 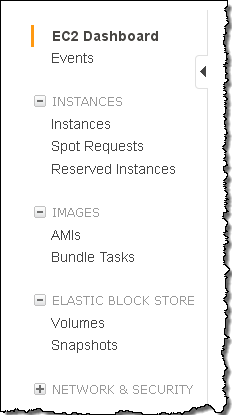 # AWS Management Console. This example goes to the sns console. # The signin parameter is the URL to send the request to. # including the Access Key ID, Secret Access Key, and security token. # to your sign-in page when their session expires. 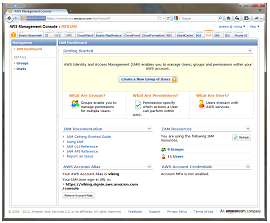 You can control the user name displayed in the upper right corner of the AWS Management Console when your user logs in. You can also optionally provide an “Issuer” URL when signing your users in. This URL will then be displayed to the user when their credentials expire, so they can re-authenticate with your identity system before continuing to use the AWS Console. The following services support Identity Federation to the AWS Management Console today: Amazon EC2, Amazon S3, Amazon SNS, Amazon SQS, Amazon VPC, Amazon CloudFront, Amazon Route 53, Amazon CloudWatch, Amazon RDS, Amazon ElastiCache, Amazon SES, Elastic Load Balancing, and IAM. We’ll of course be adding support for additional service consoles over time (the busy Amazon DynamoDB team is already working on it! ).